This entry was posted in Cotswolds, Creativity, Photography, Spirituality and tagged Gloucester Cathedral, Stained Glass Windows, Thomas Denny. Bookmark the permalink. 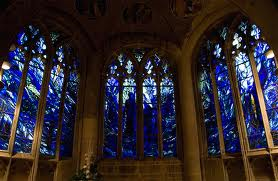 Great post, interesting words and love that stained glass…. Wow, these are fascinatingly beautiful and a wonderful addition to our challenge.